The Lanes is pleased to have been recognized by readers of Cape Cod Life for two "Best Of" awards for 2015. Upper Cape Best Family Activity/Silver and Best Rainy Day Activity/Silver. The Lanes is pleased to have been recognized by readers of Cape Cod Life for two "Best Of" awards for 2014. Upper Cape Best Family Activity/Gold and Best Rainy Day Activity/Silver. The Lanes is pleased to have been recognized by readers of Cape Cod Life for two "Best Of" awards for 2014. Readers' Choice Award Winner and Best Rainy Day Activity/Gold. If there was an "IT" place to be on the Cape, The Lanes would be our choice. 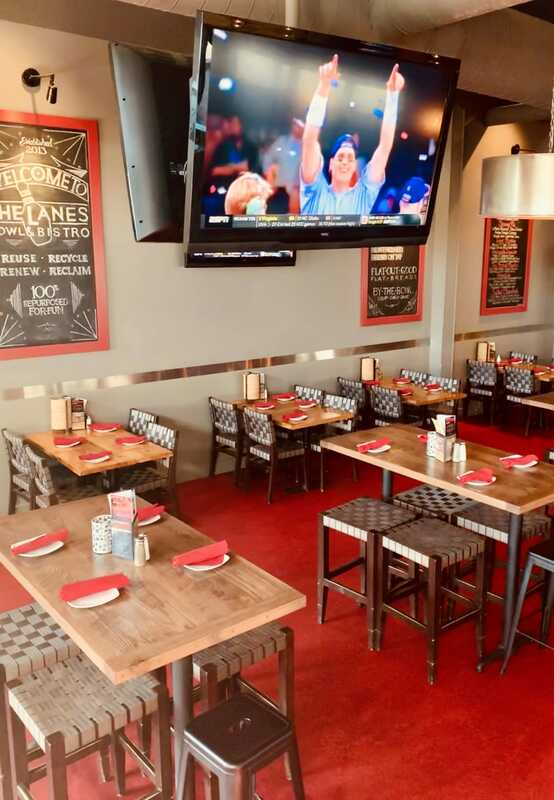 Since opening in January, the Mashpee Commons' venue has brought with it a hip vibe typically found in more urban areas like Boston, New York City or Los Angeles where dining, drinking and bowling have become the new adult chic. The bar food is reasonably priced though expect to pay a little more for the drinks which come with catchy names like the Honey Badger Martini (“He don’t care, but we do,” the menu reads). But more than anything you’ll be enjoying the atmosphere – and hopefully picking up a few strikes to boot – this Thursday with live music from the talented Paul Donsanto.